Vintage 12 oz. 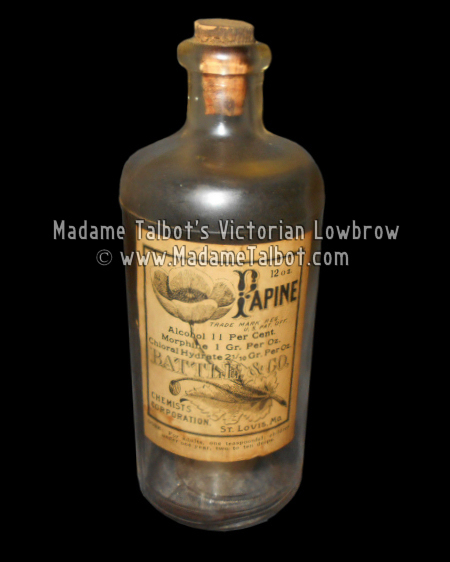 Papine medicine bottle with original label and cork. "Battle & Co., Chemist Corp;, St. Louis. Incredible graphics on label of the Opium Poppy. Label contents: 11% alcohol, 1gr. per oz. Morphine, and 2 and 1/10gr Chloral Hydrate.